Chester's Fast Track™ program assists in keeping your project on schedule, while also improving the quality of the completed product. 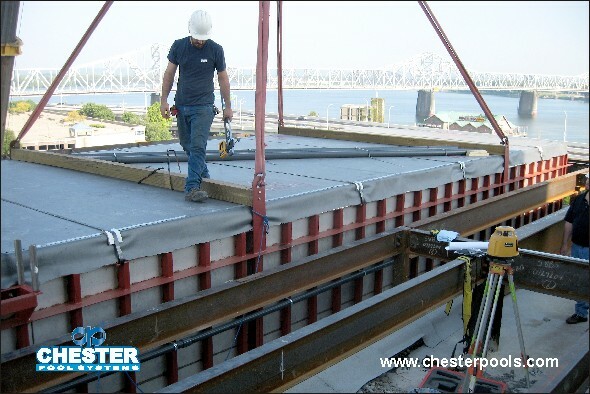 Chester Pool Systems' Fast Track™ fabrication and delivery program offers a key element toward keeping your project on schedule. Chester tailors a Design / Build / Deliver / Install / Commission sequence based on the requirements of the General Contractor or Construction Management. One-piece, or sectional components are fabricated and tested off-site to insure critical path delivery. 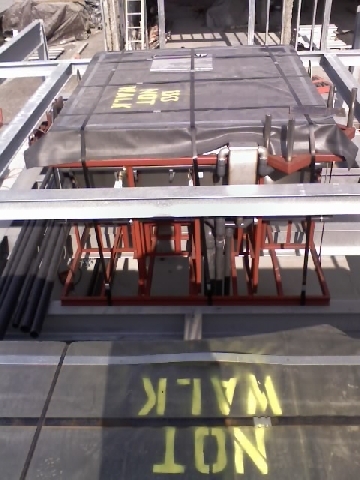 Completed units may be stored on-site, installed and protected from other trades during framing or pouring operations, or stored in a Chester bonded facility, eliminating costly repairs or cleanup at startup. To improve quality and reduce costly site fabrication, Chester offers complete pools, spas, water features, and filtration pallets built as either a complete, fully assembled unit, or as pre-assembled sections. Chester factory fabricates and pre-assembles the complete swimming pool tank with stairs, recessed steps, deck anchors, suction, and drain boxes to insure that once delivered on site, the work is completed in an efficient, high quality manner. Work that was once done only as “stick-built” construction is now being performed in a controlled factory environment. Often the pool tank can be fabricated concurrent with the site preparation and construction, expediting the total construction process. Factory construction eliminates the on-site weather issues that are typical with weather-dependent "stick-built" pool construction. All components are pre-tested prior to shipment, insuring that they operate as designed from start up. Chester's Fast Track™ pool system assists in keeping your project on schedule and on budget, while maintaining factory-built quality.